Something scary happened on Friday the 13th. I am not a superstitious human, but for those who are, just keep reading 🙂 . I started the day groggily and dull like usual. 5:30 A.M. started off with a cup of coffee to prepare me for the day, so I wouldn’t silently kill anyone with my thoughts. I had great anticipation that it would be scary (in an exciting way) and knew it would put an additional layer of pressure on my already busy adventurous life. Just what I like! 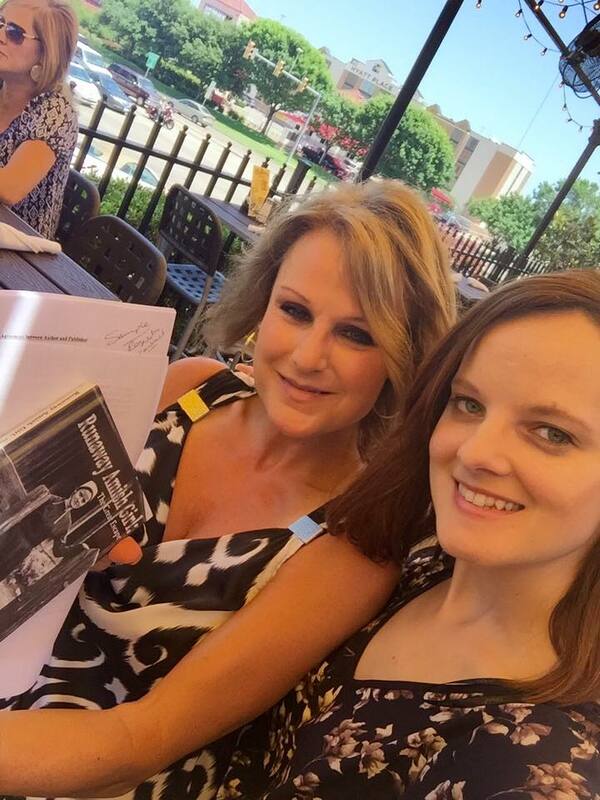 I drove to Fort Worth and met with my publisher, Amanda Thrasher, who owns Progressive Rising Phoenix Press, for lunch. The lunch meeting consisted of me getting a full traditional contract offered for the SECOND book!. Yep, that’s the scary part that happened! Might not be scary to y’all but for me it’s a new kind of scary. I will be out of my comfort zone once again as I continue sharing my story of emotional stress, depression, and most of all success! I agreed to sign the traditional contract and now the pressure is on to continue writing. I’ve already started it, so hopefully in early 2017 the second book will be ready! I am a tad nervous, but I am also super excited because I am in great hands. Amanda will be guiding me and she is the best role model out there! I also have fans who motivate me to continue going. So keep the motivation coming! Congratulations! I can’t wait to read the 2nd book. So proud of what you’ve done with your life Emma! Congrats and can’t wait to read your next book! You are doing great things Emma, Congratulations and Go Gettum! Good luck with your new book Emma, excited to read it!! So proud for you and can’t wait to read your next book! You go, girl! Wish I had started my book at your age! Hi, I found your blog because there was a feature article on news.com.au about you. I will be following along. I’m in Australia and know very little about the Amish life apart from what I’ve seen on some documentaries.Congrats on your second book! Emma…yours is so near like my story…I understood every bit of it. My heart goes with you. Hope I get to meet you someday. Looking forward to your 2nd book.